Medium amber color. Baked, funky aromas of banana bread with dark chocolate chunks, yeasty brioche, mint chocolate chip yogurt, and shredded wheat with an oily, vibrant, fruity medium-to-full body and a peppery, medium-length peppermint chewing gum, wet cigar, green peppercorn, and menthol finish. An intensely herbal single malt. 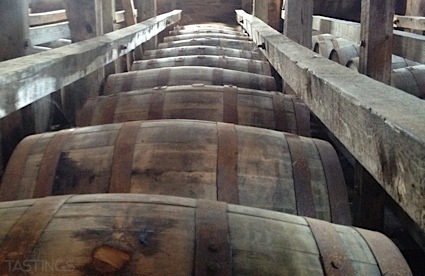 Bottom Line: An intensely herbal single malt. 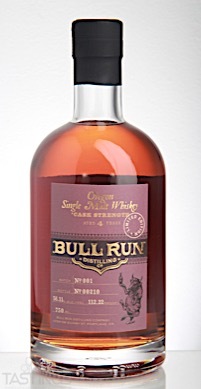 85 • Bull Run Oregon Single Malt Cask Strength Whiskey 56.11% (USA) $74.95. Bull Run Oregon Single Malt Cask Strength Whiskey rating was calculated by tastings.com to be 85 points out of 100 on 8/24/2017. Please note that MSRP may have changed since the date of our review.